The use of hemp, cannabis, in Latin, goes back several centuries, mainly for its healing properties. Through the extraction of its seeds, hemp oil is a plant with a thousand properties. It has an effect on several things: food, cosmetics, health, the raw material in the manufacture of materials This oil has indeed amazing properties! It is then necessary to give some explanations on the hemp oil intended for the skin, the face, the acne as well as for the pain. The seeds used for extracting the oil come from the selected varieties of hemp. Although hemp plant is from the Cannabaceae family, cultivated hemp oil does not contain any psychotropic substance. It consists of 56% omega 3 and omega 6 which are essential fatty acids. The role of the latter is to reconstruct the epidermal lipids and restore the fluidity of the membranes. These fatty acids also restore softness, elasticity to the skin and fight against dehydration. The lipids contained in hemp seeds have a high percentage of unsaturated fatty acids that are truly essential for metabolism. In addition, hempseed is one of the few seeds that contains stearidonic acid: it reacts 5 times more than omega 3, to accentuate the reconstruction of cell membranes. Hemp oil is a vegetable oil as original as it is exceptional! Thanks to its Omega 3 and Omega 6 content, it is among the vegetable oils richest in essential fatty acids. In addition, it is a source of proteins, minerals, vitamins, fibers … all the elements that bring countless nutritional benefits. The presence of fatty acids is ideal for the health of the arteries as well as to lower the level of cholesterol in the blood. Hemp oil also has protective properties: it is used to fight against burns related to radiotherapy. The omega-3s that makeup hemp oil is largely involved in anti-inflammatory processes: they reduce redness and soothe irritation. The presence of omega 3 and 6 help prevent cardiovascular disease by promoting the elasticity of the arteries and the fluidity of the blood. Hemp oil is also involved in the physiological functions of all tissues and ensures normal growth. It also plays a vital role in the development and physiology of the retina and the nervous system. In Germany, 5 to 7 million people suffer from chronic pain. Of these, between 500,000 and 650,000 have complex pain that is difficult to treat. At least one out of two patients do not have enough means of pain treatment. Often, we notice that the patients develop resistance, even a tolerance, with the usual analgesics. As a result, the use of other medications becomes imperative. 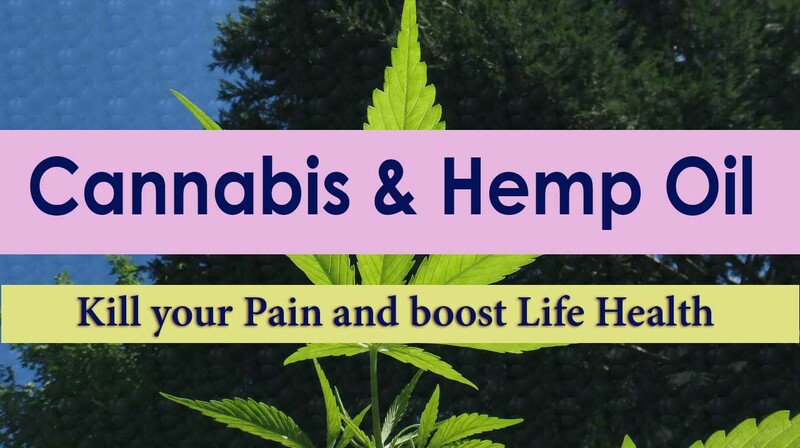 Cannabis products are used in the treatment of multiple pains. Although opiates, such as morphine and tramadol, are more potent pain killers, in some cases cannabis and Dronabinol are more effective. However, it should be added that their therapeutic effect remains relatively unpredictable. This means that it is often not known why Dronabinol has a therapeutic effect in one patient and not in another. It can also personally testify to several cases of patients with fibromyalgia, some of whom have benefited from the therapeutic effect of cannabis, while others have not. Many patients testify that cannabis is beneficial to them to reduce neuropathies, that is to say, the pain induced by a nerve injury. This injury can be caused by a variety of causes, such as a metabolic disease (such as diabetes mellitus), drug therapy, trauma in an accident, and more. In a pilot study led by Professor Donald Abrams of the University of California, 16 patients with HIV-related neuropathies received either cannabis or placebo. For 3 of these patients, the neurological problems were due to the disease itself, for 8 others to antiviral treatment and for the remaining 5 patients, probably both at the same time. Hemp oil is used in many areas: it is used medicinally, cosmetics, food … It is a real help for the well-being and vitality of the body. Hemp oil has a composition similar to lipids in the skin. 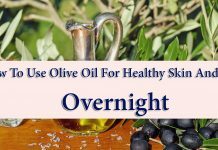 It is an oil of choice for dry, mature, irritated, tired and dehydrated skin. It also has a soothing action on redness and irritation. Hemp oil is indeed effective to soothe the feeling of overheating associated with sunburn or light burns. Thanks to its moisturizing, regenerating and revitalizing properties, hair hemp oil is also found in the hair care composition. It brings shine and vigor to the hair. Pure hemp oil is one of the best that can be used in cosmetics. Suffice to say that it is the maintenance oil par excellence, Rich in omega 3 and 6, but also in vitamin E a powerful antioxidant whose benefits are no longer to describe. Hemp oil has essential fatty acids that stimulate the regeneration of skin tissue: it has “anti-aging” and revitalizing characteristics. Hemp oil also has firming and softening properties that maintain the elasticity and youth of the skin. It is a very effective treatment against rosacea and rosacea. Pure hemp oil is an exceptional moisturizer for the skin. 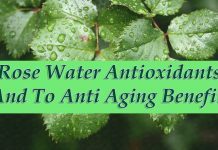 It stops desiccation, moisturizes the skin, slows its dehydration and rejuvenates it considerably. It is suitable for all skin types and penetrates deeply and very quickly into the skin. It also protects the skin from rapid aging. The oil obtained from hemp seeds enjoys an excellent dietetic reputation, because of its omega 3 fatty acid content. Unfiltered, it has a more or less green color depending on the variety. It has a subtle aroma of hazelnut, perfect for salad dressings and crudites, as well as to scent a hot dish after cooking! In addition, the lipids contained in the hemp seed have a very high nutritional quality. Hemp oil works wonders in cosmetics thanks to its moisturizing properties, making it a valuable ally against dry skin. It is very effective in the treatment of eczema, with promising results. 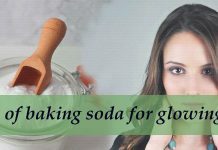 Thus, it can be used to naturally treat acne, cold sores … and many more! If you are afraid of becoming a drug addict by consuming pure hemp oil, rest assured. Of course, there are cannabis oils rich in THC, but pure hemp oil is extremely low in THC. Generally, cannabis oil rich in THC is not really cannabis oil. It is obtained by treating cannabis leaves and flowers to obtain a maximum of THC and this residue will subsequently be added to an oil or butter, as is the case with Marrakesh butter. Pure hemp oil is obtained by the pressure of cannabis seeds that contain absolutely no THC.